Classes The Lead Shed offers customers superior firearms training and takes the time to go over the fine details. We don’t broad brush training and tell stories! We focus on the content and material, which results in making you a safer, more knowledgeable and more accurate shooter. Our staff of experienced instructors is very knowledgeable and consists of Retired Army and police personnel. The Lead Shed provides an environment for students to learn how to use and safely practice with their firearms. Our staff trainers are all NRA certified instructors. 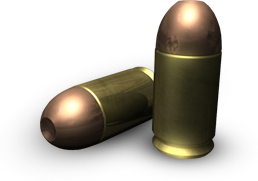 What you need to bring to class: A firearm & 50 rounds of ammo (We also have rental pistols available for $10, You can also buy your ammo at the store) Hearing protection Eye protection or prescription glasses Classes start at 10am, at 123 S. Fulton, Wauseon, Ohio. When you come to class, we provide coffee, doughnuts, sodas, and breakfast pastries. You should come with your firearm unloaded. Leave your ammunition in the car. We will inspect your firearm upon arrival to make sure it is unloaded then get you in the classroom. Our range is located in Delta Ohio, it is an outdoor range. Please plan for any possible inclement weather. 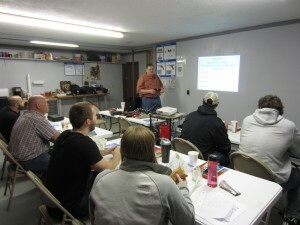 Classes The Lead Shed offers customers superior firearms training and takes the time to go over the fine details. We don’t broad brush training and tell stories! We focus on the content and material, which results in making you a safer, more knowledgeable and more accurate shooter. Our staff of experienced instructors is very knowledgeable and consists of Retired Army, Marine, and police personnel. The Lead Shed provides an environment for students to learn how to use and safely practice with their firearms. Our staff trainers are all NRA certified instructors. What you need to bring to class A firearm & 150 rounds of ammo (We also have rental pistols available) Hearing protection Eye protection or prescription glasses Classes start at 8am, at 435 E Linfoot, Wauseon, Ohio. When you come to class, we provide coffee, doughnuts, sodas, and breakfast pastries. You should come with your firearm unloaded. Leave your ammunition in the car. We will inspect your firearm upon arrival to make sure it is unloaded then get you in the classroom. Our range is located in Liberty Center Ohio, it is an outdoor range. Please plan for any possible inclement weather. Classes The Lead Shed offers customers superior firearms training and takes the time to go over the fine details. We don’t broad brush training and tell stories! We focus on the content and material, which results in making you a safer, more knowledgeable and more accurate shooter. Our staff of experienced instructors is very knowledgeable and consists of Retired Army, Marine, and police personnel. The Lead Shed provides an environment for students to learn how to use and safely practice with their firearms. Our staff trainers are all NRA certified instructors. What you need to bring to class A firearm & 150 rounds of ammo (We also have rental pistols available) Hearing protection Eye protection or prescription glasses Classes start at 10am, at 435 E Linfoot, Wauseon, Ohio. When you come to class, we provide coffee, doughnuts, sodas, and breakfast pastries. You should come with your firearm unloaded. Leave your ammunition in the car. We will inspect your firearm upon arrival to make sure it is unloaded then get you in the classroom. Our range is located in Liberty Center Ohio, it is an outdoor range. Please plan for any possible inclement weather. The Lead Shed offers customers superior firearms training and takes the time to go over the fine details. We don’t broad brush training and tell stories! We focus on the content and material, which results in making you a safer, more knowledgeable and more accurate shooter. Our staff of experienced instructors is very knowledgeable and consists of Retired Army and police personnel. The Lead Shed provides an environment for students to learn how to use and safely practice with their firearms. Our staff trainers are all NRA certified instructors. What you need to bring to class A firearm & 50 rounds of ammo (We also have rental pistols available) Hearing protection Eye protection or prescription glasses Classes start at 9am, at 123 South Fulton Street, Wauseon, Ohio. When you come to class, we provide coffee, doughnuts, sodas, and breakfast pastries. You should come with your firearm unloaded. Leave your ammunition in the car. We will inspect your firearm upon arrival to make sure it is unloaded then get you in the classroom. Our range is located in Swanton, Ohio, it is an outdoor range. Please plan for any possible inclement weather. The Lead Shed offers customers superior firearms training and takes the time to go over the fine details. We don’t broad brush training and tell stories! We focus on the content and material, which results in making you a safer, more knowledgeable and more accurate shooter. Our staff of experienced instructors is very knowledgeable and consists of Retired Army, and police personnel. The Lead Shed provides an environment for students to learn how to use and safely practice with their firearms. Our staff trainers are all NRA certified instructors. What you need to bring to class A firearm & 50 rounds of ammo (We also have rental pistols available) Hearing protection Eye protection or prescription glasses Classes start at 9am, at 123 South Fulton Street, Wauseon, Ohio. When you come to class, we provide coffee, doughnuts, sodas, and breakfast pastries. You should come with your firearm unloaded. Leave your ammunition in the car. We will inspect your firearm upon arrival to make sure it is unloaded then get you in the classroom. Our range is located in Swanton, Ohio, it is an outdoor range. Please plan for any possible inclement weather. The Lead Shed offers customers superior firearms training and takes the time to go over the fine details. We don’t broad brush training and tell stories! We focus on the content and material, which results in making you a safer, more knowledgeable and more accurate shooter. Our staff of experienced instructors is very knowledgeable and consists of Retired Army, and police personnel. The Lead Shed provides an environment for students to learn how to use and safely practice with their firearms. Our staff trainers are all NRA certified instructors. What you need to bring to class, A firearm, & 50 rounds of ammunition (We also have rental pistols available for $10, you buy the ammo) Hearing protection Eye protection or prescription glasses. Classes start at 9am, at 123 South Fulton Street, Wauseon, Ohio. When you come to class, we provide coffee, doughnuts, sodas, and breakfast pastries. You should come with your firearm unloaded. Leave your ammunition in the car. We will inspect your firearm upon arrival to make sure it is unloaded then get you in the classroom. Our range is located in Swanton, Ohio, it is an outdoor range. Please plan for any possible inclement weather.